With various exhibitions running throughout the year, the architectural and interiors gem, Leighton House Museum, is definitely worth a visit. Leighton House reopened in April 2010 after a £1.6 million refurbishment which has uncovered and restored many of the decorative schemes and features of the house, as well as a previously unseen staircase. In the 1860s the artist Frederic Leighton commissioned his friend, the architect George Aitcheson, to build him a showpiece house in Holland Park, which he filled with classical treasures from all over the world, as well as his own works and those of his contemporaries. The house was a work of art in itself, with every inch decorated in high style inspired by the studios Leighton had seen on his extensive European travels. There were magnificent reception rooms downstairs designed for lavish entertaining, and a dramatic staircase leading to a huge light-filled studio taking up most of the first floor. Four extensions were added over the years, the most striking addition the ‘Arab Hall’, designed to showcase Leighton’s huge collection of sixteenth-century Middle Eastern glazed tiles. The house was created as a stage on which Leighton could play out his role as a great artist, contrasting with the tiny single bedroom, the only private space in the whole house. Today, the house is still an architectural treasure trove which belies its somewhat dour exterior and the museum holds, or has on loan, some fine paintings as well as drawings and sketches. Trigger-fingers at the ready, photography buffs: try out a new smartphone from Kodak, then see a photo exhibition, quiz the experts on how to improve your Insta game, buy film stock from the heritage camera company and items from a collab with Opening Ceremony in this week-long pop-up. 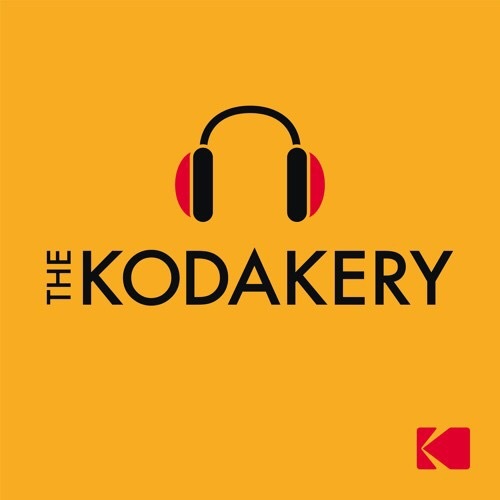 To create some personal creative presents, produce photography for your walls or get your hands on knowledge about some new technology head to the one week long pop-up at Berwick Street, Soho, at ‘The Kodakery’, starting today!